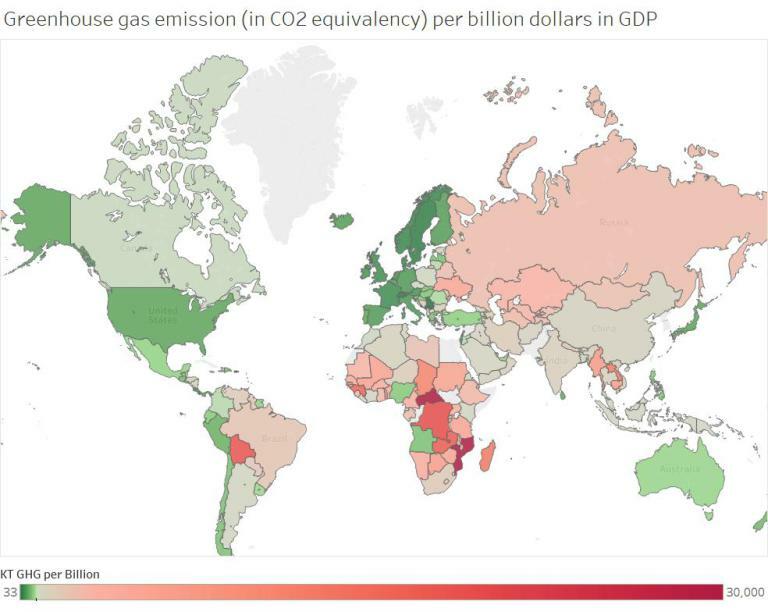 Home / Global Warming / Maps / Which countries are the most emissions efficient? 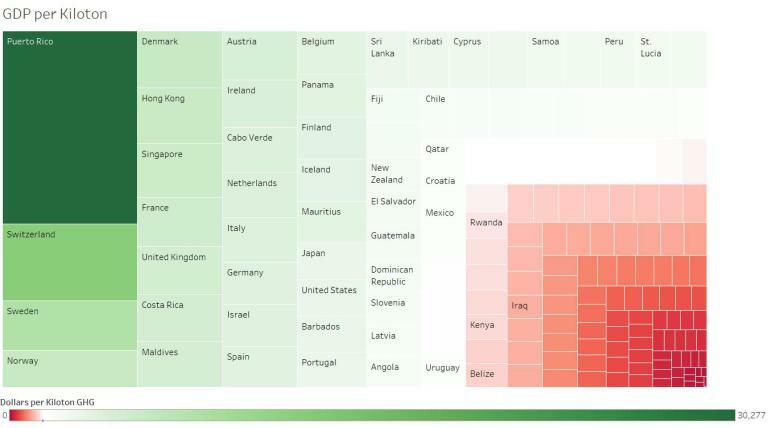 Which countries are the most emissions efficient? Greenhouse gas emission per billion dollars of GDP produced.